THE terrorist who drove a ute onto a bike path in New York and killed at least eight people left revealing notes behind. DETAILS are starting to emerge about the “very sick and deranged person” police believe killed at least eight people in a New York truck attack. 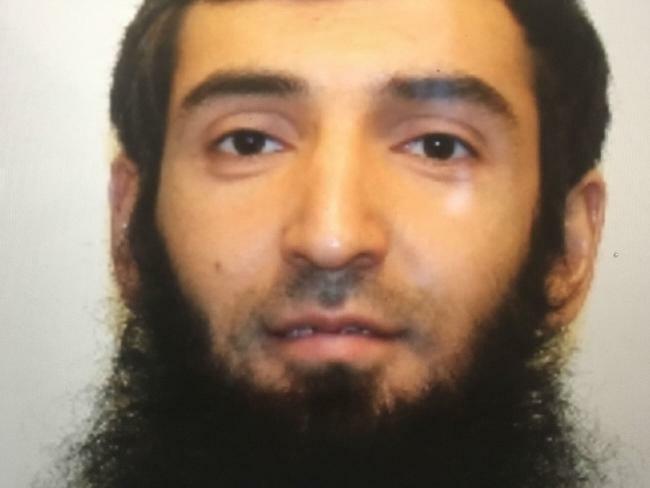 Sayfullo Saipov, 29, had notes written in Arabic inside his rented ute along with either an Islamic State flag or a smaller picture of a flag, law enforcement sources told The New York Post. The handwritten notes indicated that he had pledged allegiance to the terror group, the sources said. 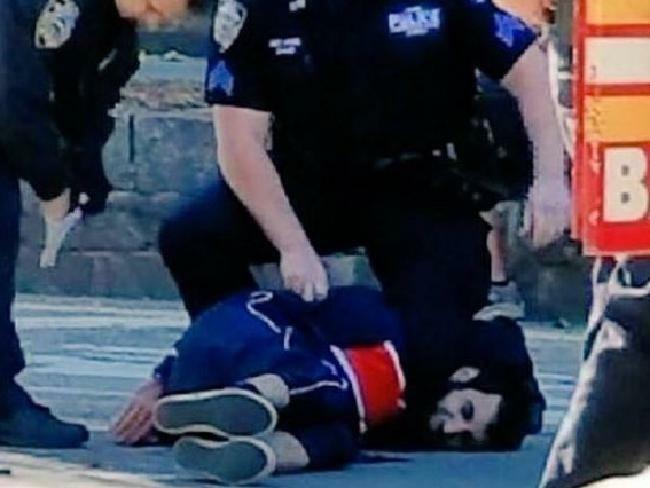 Saipov was shot and taken into custody by police, after he injured at least 15 people near the site of the World Trade Centre attacks, at 3.15pm Tuesday afternoon local time. Saipov emerged from the ute with fake guns in both hands and ran toward a crowd of children before he was gunned down by police. He was heard to scream “Allahu Akhbar” as he leapt out of the ute. Saipov reportedly arrived in the US from Uzbekistan in 2010, and had a green card that allowed him to live there permanently. A shocked friend told the Post he was normally “very friendly” and had worked as an Uber driver. He was unware he had any links to terrorism or had been radicalised. Kobiljon Matkarov, 37, met Saipov in Florida soon after Saipov arrived in the country. “He is very good guy, he is very friendly… he is like little brother… he look at me like big brother,” Mr Matkarov said. He believed his friend had been recently living in New Jersey, which is where the Home Depot ute had been rented from. “My kids like him too, he is always playing with them. He is playing all the time,” Matkarov said. He last saw him in June when Saipov dropped his family at the airport - the only thing odd about that encounter was when he refused to be photographed. “He no like that. He said no,” Matkarov said. Two children travelling on a school bus were among the injured, after the truck rammed into the side of the vehicle. No victims’ names have been released, but Argentina’s Foreign Ministry confirmed five Argentine citizens had been killed. A sixth victim was from Belgium. US President Donald Trump said it appeared to be the work of “a very sick and deranged person”. Sayfullo Saipov, 29, believed to be the New York terrorist truck driver. New York Mayor Bill de Blasio told a media conference the attack was a “cowardly act of terror aimed at innocent people ... who had no idea what was about to hit them”. Governor Andrew Cuomo called it a “lone wolf” attack. 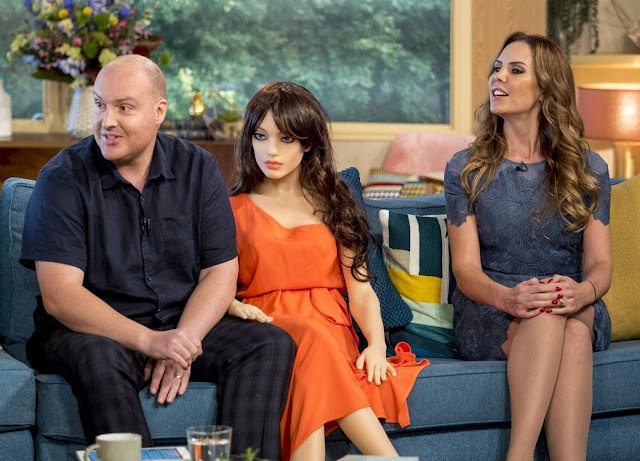 He said there was no evidence to suggest it was part of a wider plot. Six men were pronounced dead at the scene while two other people were taken to hospital and died there. “We also transported 11 people, all with serious but at this moment not life-threatening injuries. The injuries are what you might expect when a truck at high speed went down that bicycle path and struck cyclists and pedestrians. 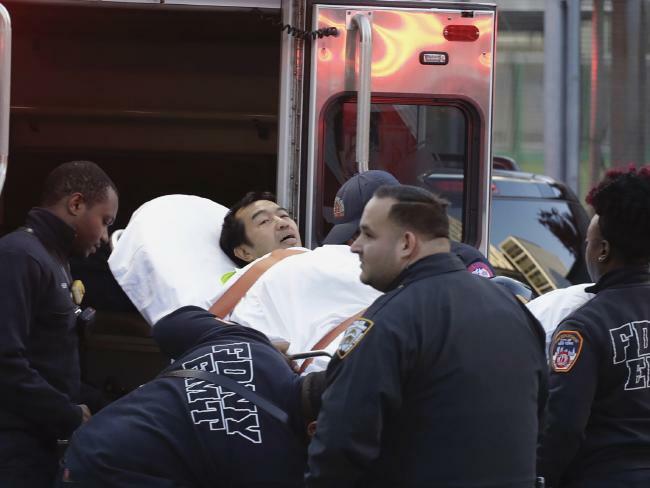 There may be more injuries and we will determine that later,” New York City Fire Commissioner Daniel Nigro said. The man hit a school bus that was carrying two adults and two children, before he drove onto the bike path. Dramatic images showed mangled bikes left strewn across the pavement, while two bodies could be seen lying under a tarp. 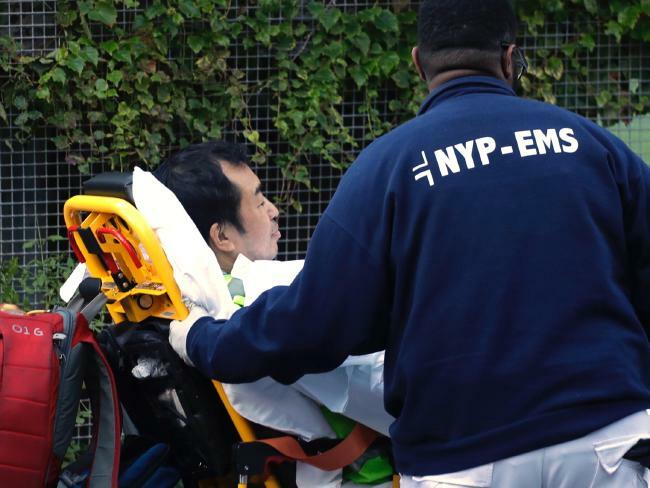 The attack came just hours before New York’s annual Halloween parade, which attracts thousands to the West Village, a few blocks north of Lower Manhattan. It’s believed the people killed were run over by the truck, rather than being shot. Police told local media the guns the motorist was carrying were fake - a paint gun and a pellet gun. Elizabeth Chernobelsky, 17, a 12th grade student at Stuyvesant High School, said the school went into lockdown for three hours after the attack. The teenager saw the bomb squad rush in and bodies being taken away from the scene in body bags. “It was very shocking, like out of the movies,” she told news.com.au. “What sticks in my mind is that it was taking a really long time. He said he saw a man with “two guns”. Local worker Eugene Duffy described to news.com.au the anguished screams he heard as the attack unfolded. He turned and saw the attacker’s ute. He didn’t see the man - but saw panicked people running every direction they could to get to safety. Mr Duffy said it was lucky that it happened on the West Side Highway on a weekday, not on a weekend. A young girl watched the carnage happen. “I feel very bad for that girl. She must have seen it all,” she said. 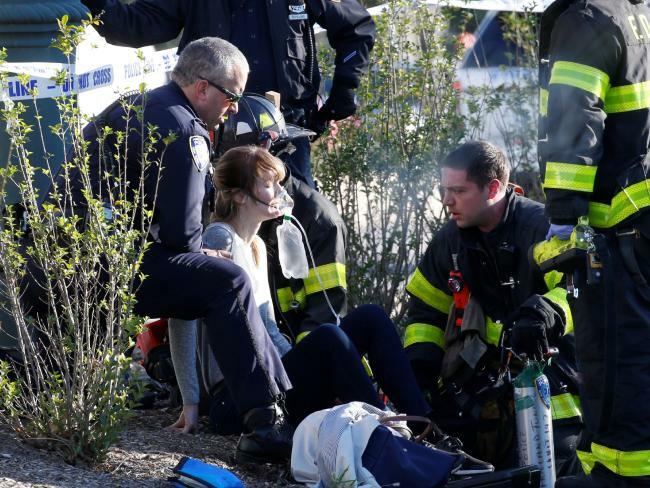 Simranjeet Kalra, 21, of Long Island, said she saw two dead cyclists who had been riding City Bikes. “What happened was there was a car crash … he came out of one of the cars. He had two guns. He was running around Chambers and somebody started to chase him,” another Stuyvesant student Laith Bahlouli, 14, said. 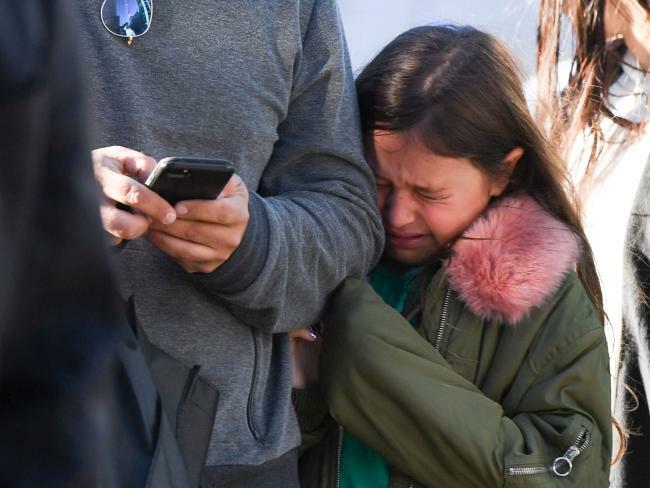 The attack occurred in the shadow of the World Trade Centre and in the middle of an education precinct that was filled with students, leaving those at the scene to question if that had been why the area was targeted. The man was seen running towards a group of children when he got out of the ute. Local streets were filled with police and media - but despite horrific the attack kids and parents are still walking past in in steady streams wearing Halloween costumes and big smiles on trick-or-treating missions. “Jesus! 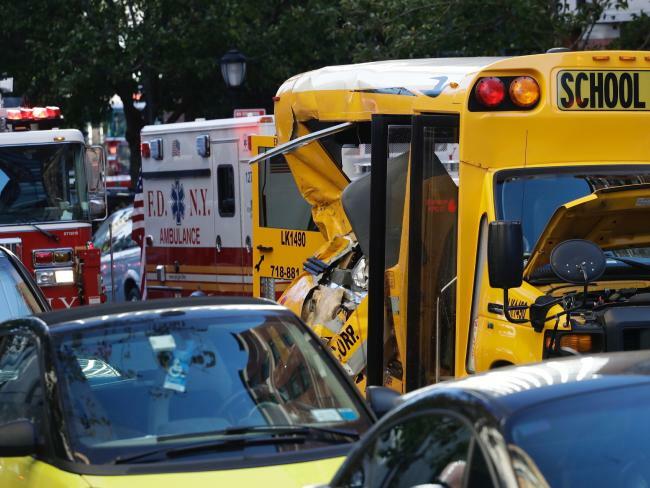 A car just ran over 2 people and then crashed into a school bus. I see two dead bodies and citibikes on the floor destroyed,” a Twitter user wrote. The suspect then got out of his vehicle with two guns, another witness said. Video of the scene shows at least two people lying limp in the street. Emergency personnel carry a man into an ambulance. 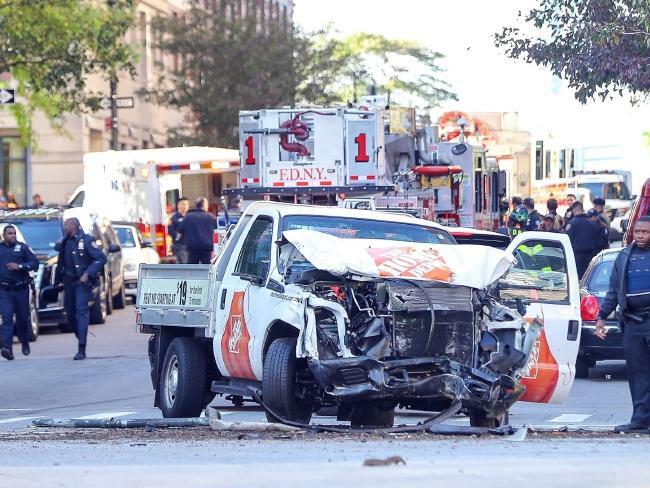 Photos show a smashed up Home Depot rental truck, and two mangled Citi Bikes. Counter-terror police were searching the truck for explosives. 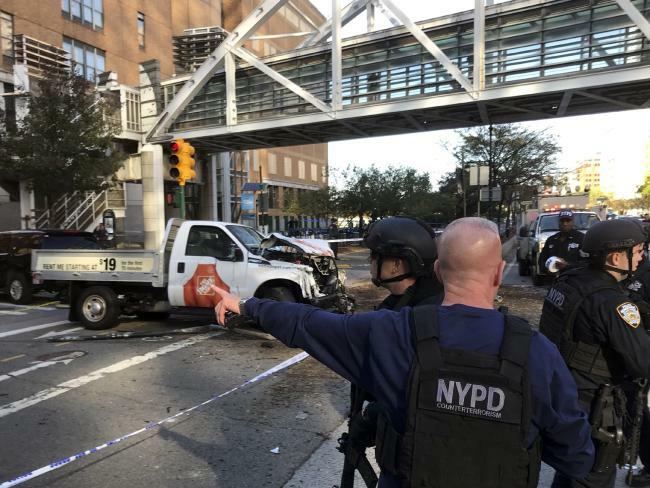 Uber driver Chen Yi said he saw a truck plough into people on a popular bike path adjacent to the West Side Highway. He said he then heard seven to eight shots and then police pointing a gun at a man kneeling on the pavement. “I saw a lot of blood over there. A lot of people on the ground,” Yi said. 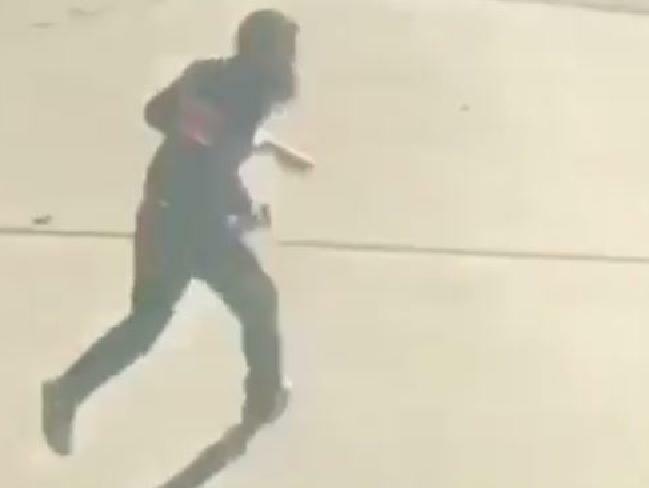 His passenger, Dmitry Metlitsky, said he also saw police standing near a man who was on his knees with his hands up, and another man bleeding on the ground nearby. He said the truck had also collided with a small school bus and one other vehicle. If the attack had happened much later, the street would have been full of trick-or-treaters, the witness added. A spokesman for Bill de Blasio said there was “no active threat”. The FBI Joint Terrorism Task Force joined the NYPD on the scene, according to NBC.